COTS are off-the-shelf products. These ready-made solutions enable engineers to go to market with little to no internal development. DevKits are conceived to offer a first approach to customers. They're composed of a REFLEX CES' board, several ready-made software layers, and the associated software drivers. 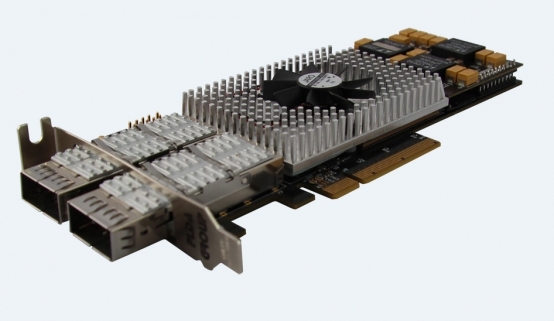 The XpressGXA10-LP1150 is a Low Profile Arria® 10 GX PCIe board which provides to customers an off-the-shelf Best-In Class hardware solution for HPC or Networking applications. The board hosts 1 bank of DDR4 and 4 banks of QDR2+ memories and two QSFP+ cages for multi 10GbE/40GbE networking solutions. 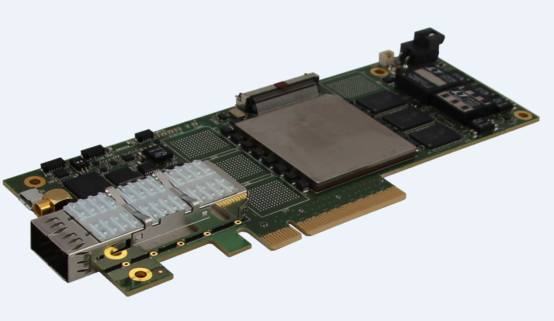 The XpressGXA10-LP1151 is a low-profile PCIe network processing FPGA board, featuring 40G Ethernet. The Target applications are as wide as Fog Computing, Finance, Acceleration, Networking and Security. The Arria® 10 SoC FMC Instant-Development Kit provides to developers the best Out-Of-The box experience combining the Best-In Class compact hardware platform and the most efficient intuitive software environment. Its unique install and GUI interface allows an immediate start, and its reference designs enable fast turn-around designs shortening and securing the developments. The target markets are as wide as Video capture and processing, Industrial, Test & Measurement and Medical. The Arria® 10 SX FMC PCIe board provides to customers an on-the-shelves Best-In Class hardware solution, which is from one end extremely compact and optimized, and from the other end very opened to multiple applications by using the FMC High-Pin-Count interface and scalable DDR3 memory connected to the HPS and FPS part for the FPGA. 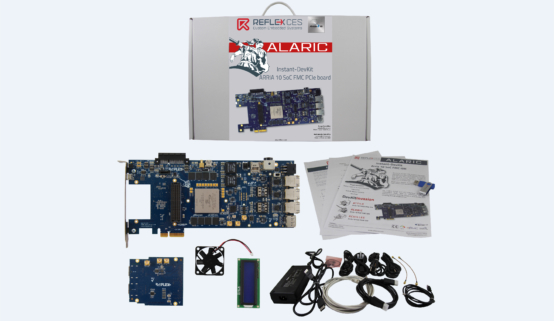 The Arria® 10 FPGA FMC Instant-Development Kit provides to developers the best Out-Of-The box experience combining the Best-In Class compact hardware platform and the most efficient intuitive software environment. The target markets are as wide as Test & Measurement, Video capture and processing, High Performance Computing, Finance, Industrial and Medical. 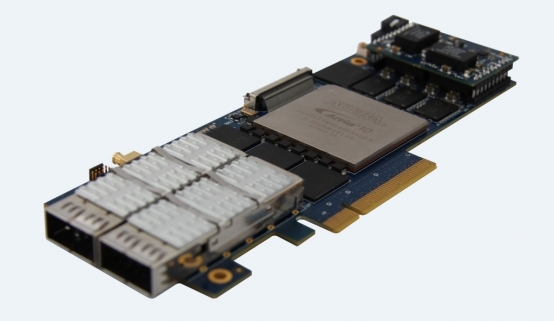 The Arria® 10 GX FMC PCIe board provides to customers an on-the-shelves Best-In Class hardware solution, which is from one end extremely compact and optimized, and from the other end very opened to multiple applications by using the FMC High-Pin-Count interface and scalable DDR4 memory SODIMM module. 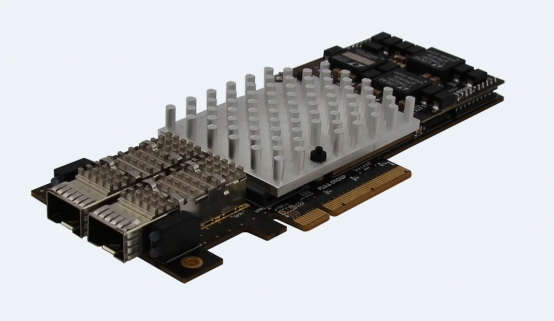 The XpressGX5LPA7SE-Gen3 board is a low-profile PCIe add-in card engineered for low-latency, high performance network computing. 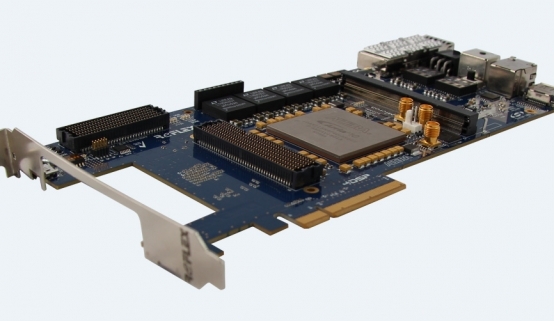 Based on an Intel® Stratix® V GX FPGA, the card features 20Gbit of direct-attached Ethernet connectivity, a PCIe Gen3 x8 host interface, and abundant memory resources including DDR3 SDRAM and QDR2+ SRAM (SIO). 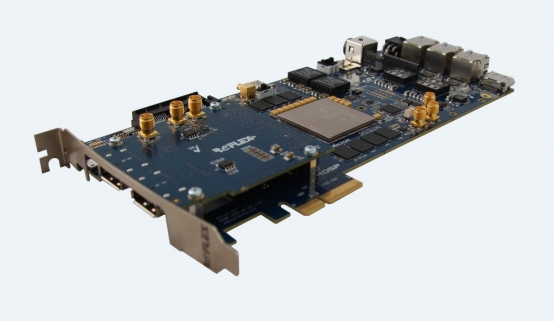 Clovis Cyclone® V Video Development Kit (AVDB) is feature rich FPGA board designed to implement various challenging video applications with a special focus on Video Acquisition, Processing, Displaying, and/or Streaming over Ethernet. 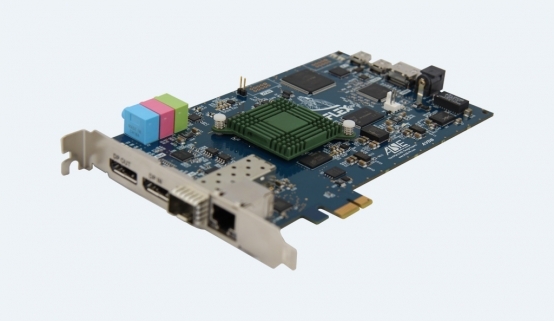 For example, one or several Clovis Cyclone® V Video Development Kit (AVDB) can be plugged in a PC as a video Input, Video Output, Video processing board for building COTS Servers. 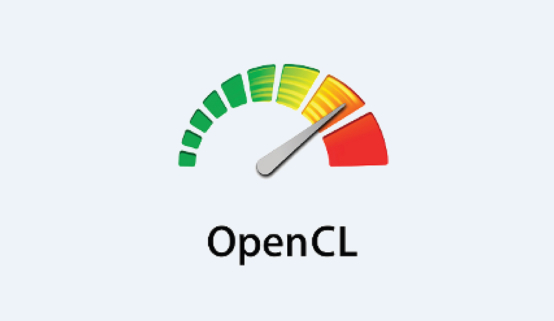 This industry-first board is propelled by the largest and fastest FPGA device from the 28 nm Intel® Cyclone® V GT family, which includes twelve 6.144 Gigabits transceivers, over 680 multipliers and over 12 megabits of internal memory. 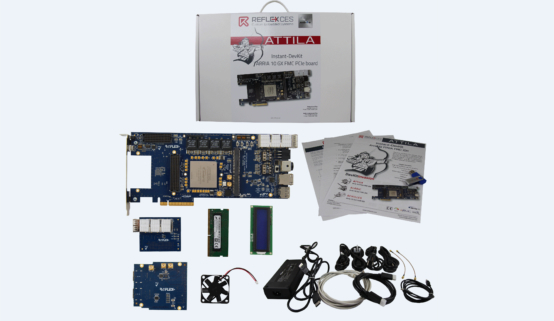 Clovis Cyclone® V Video Development Kit (AVDB) includes directly on-board several video interfaces (HDMI and DisplayPort).